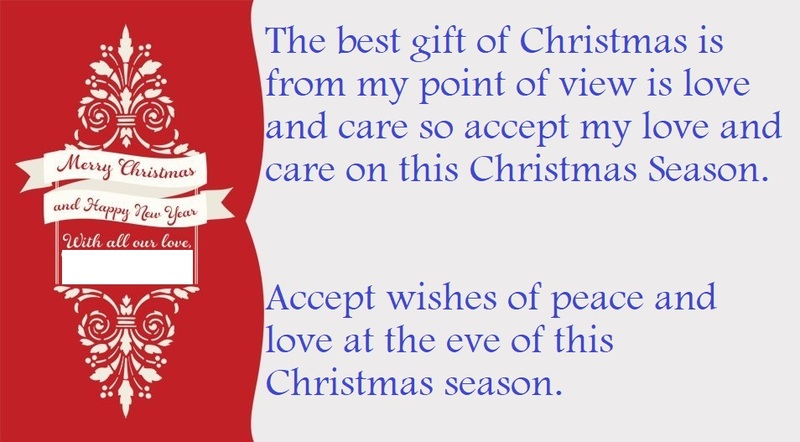 To express feelings and sentiments for beloved ones always remain a tricky task. People often could not manage to use correct words. And in this way they not only spoil and damage their relationship. This also makes their precious moments of happiness boring. Therefore we have tried to make your Christmas memorable by giving you tips about What to write on Christmas greeting cards so that you make your words and thinking valuable and memorable. It is the human words not the arms and force, that motivate people. Small talks, short quotes and words said and presented in a manner memorable and friendly way make impression. Often youngster recall the words and sayings of their parents which they had been instructed in childhood. 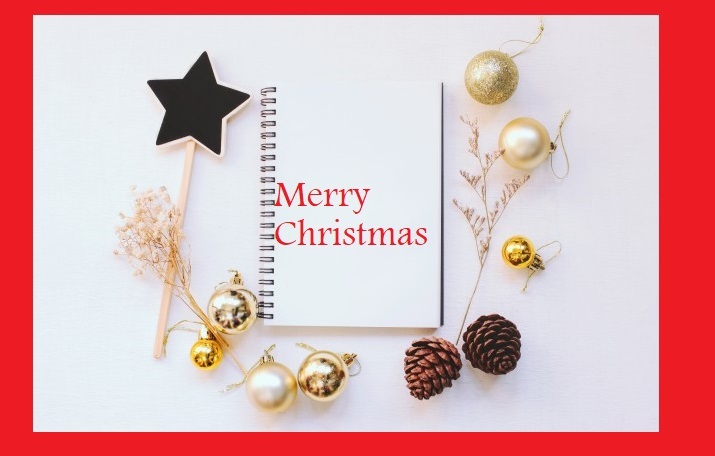 Along with those words some kisses, hugs and smiles of their parents and in some cases little punishment are also connected as a mail attachment. Some of these attachments make our memory a pleasant one. 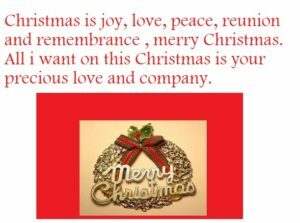 Hence only key, to make our present memorable and joyful, is make some attachments of love, gifts, sweet and love words with your presence. Sometimes, your presence with your dear ones is more than a gift, present and words. 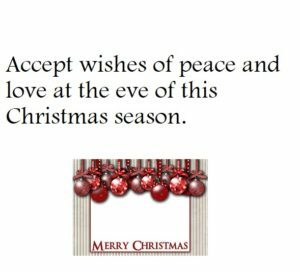 I wish: Peace of mind, comfort of faith, joy and company of your loved ones, become your eternal gifts of this Christmas seasons. 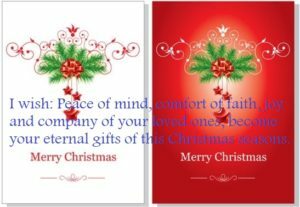 My Christmas is your company for all Christmas seasons. 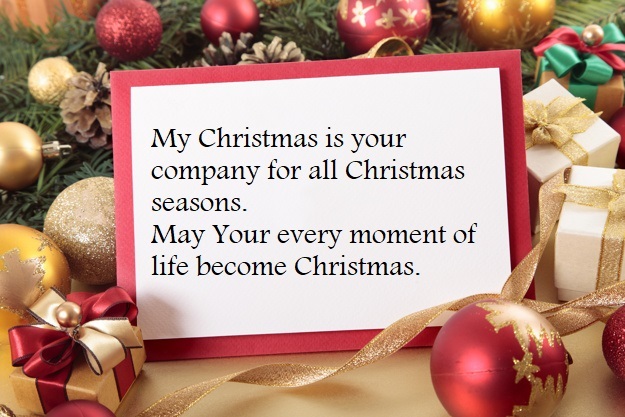 May Your every moment of life become Christmas. 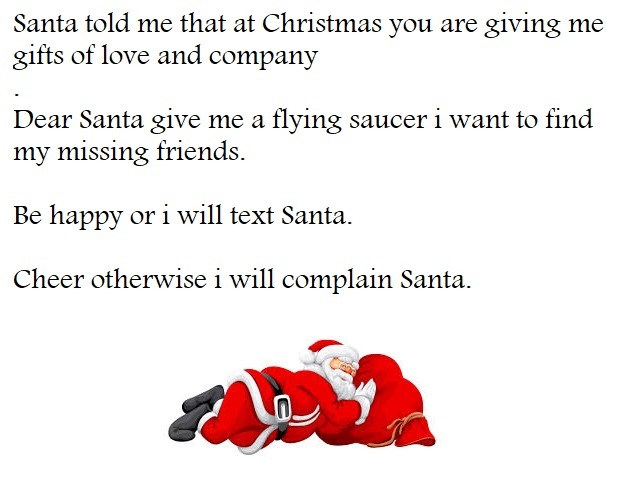 Be happy or i will text Santa. 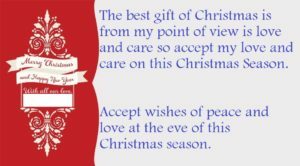 Cheer otherwise i will complain Santa. 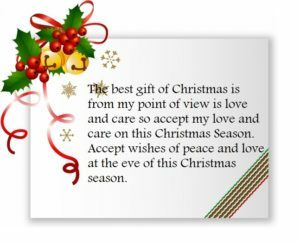 The best gift of Christmas is from my point of view is love and care so accept my love and care on this Christmas Season. 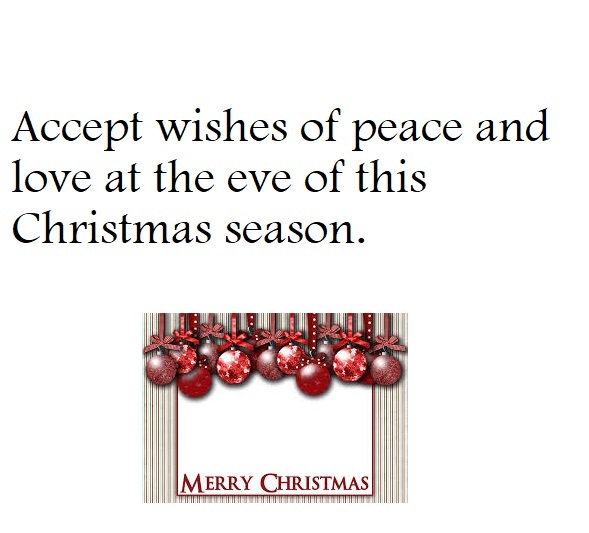 Accept wishes of peace and love at the eve of this Christmas season. Santa told me that at Christmas you are giving me gifts of love and company. Dear Santa give me a flying saucer i want to find my missing friends. 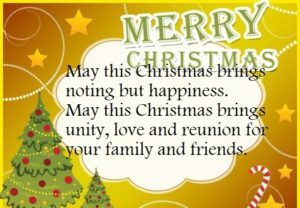 Christmas is joy, love, peace, reunion and remembrance , merry Christmas. 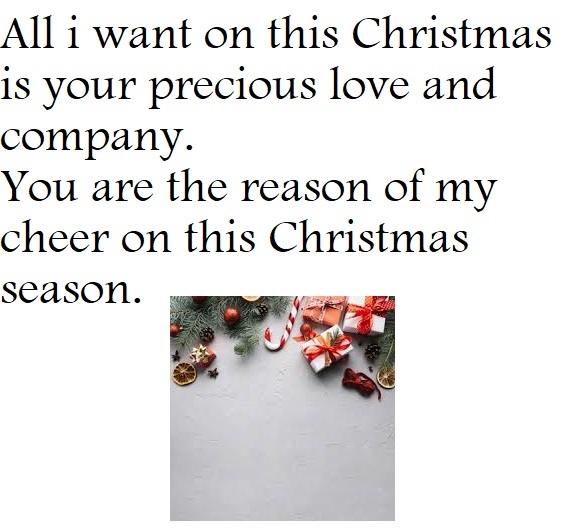 All i want on this Christmas is your precious love and company. You are the reason of my cheer on this Christmas season. May this Christmas brings noting but happiness. 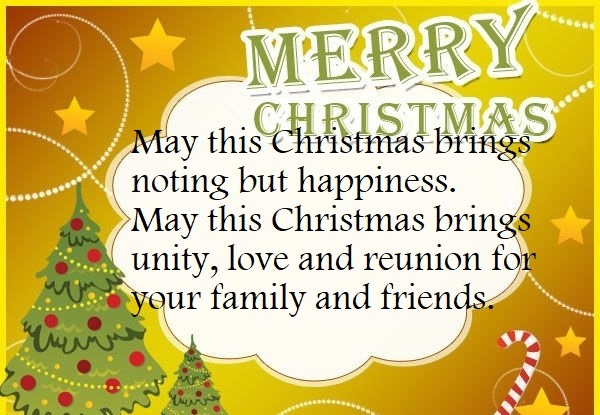 May this Christmas brings unity, love and reunion for your family and friends. Here are some greeting cards for sending to your dear ones on this Christmas season.